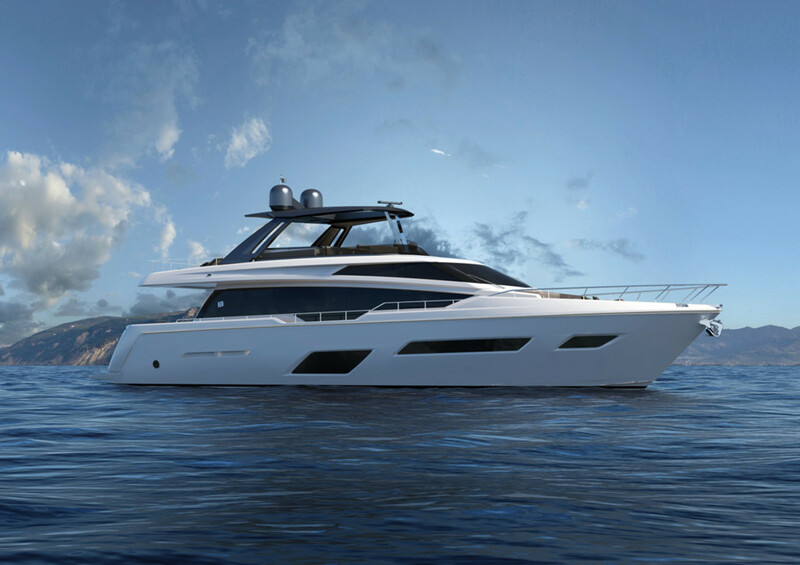 Ferretti Yachts said it will begin production of its new 780. The new Ferretti Yachts 780 will have twin MAN engines with 1,400 mhp as standard power. Ferretti Yachts said it will begin production of its new 780, which it announced this fall at the Cannes Yachting Festival and the Fort Lauderdale International Boat Show. The yacht will debut next summer. It is the result of a collaboration among the product strategy committee, the Ferretti Group’s engineering department and Studio Zuccon International Project. Ferretti said the 780 will be powered by twin MAN engines with 1,400 mhp, allowing the yacht to reach 24 knots at cruising speed and 28 knots at top speed. MAN twin engines with 1,550 mhp are also available. Ferretti said the performance with those engines rises to a cruising speed of 26 knots and a top speed of 31 knots. Owners also can install a stabilizer and other extras.